Our last few articles have touched on how what to do if you find yourself in need of cash and how to know if a payday loan is the best option for you. You now know why it’s so important to only apply with reputable direct payday lenders. You can read those articles in our payday advance blog. At this point we’ll assume you need a direct online loan. You plan on applying for a direct lender payday loan opposed to a cash advance matching service. Now you’ll want to find the best direct lender for your specific situation. You may think they’re all the same but that couldn’t be further from the truth. All direct payday lenders vary when it comes to the company size and states where they offer cash advances and car title financing. It also includes, monthly payment lender fees, application process, and more. After reading this article and using our directory of online payday loans direct lenders. You should be able to narrow down your options and make the best choice for your financial situation. You already know that the best direct payday lenders will offer low fees with the most accommodating payoff terms. Besides that you’ll want to find an online company that’s been around for a while and has credibility. This is important because there are lenders that are trying to skirt your state’s lending laws. Some of these lenders are offshore and will make it very difficult on you if you fall behind on your loan. Credible direct payday lenders are most likely following your state’s payday loan regulations. These regulations include limits on monthly payment funding. They know they can’t harass you or charge you fees that are above and beyond what your state allows. Also, when you’re dealing with a credible lender you’re more likely to have better customer service. Compare this to companies that are not following your state’s regulations. Take the State of California as an example here. California regulates all short term lenders. That’s why you need to ensure any company in CA has an active license under the California Deferred Deposit Transaction Law. Most companies that have been around for a while have retail locations as well as an online presence. This doesn’t mean an online only company is not the way to go. It only means that a company with storefront locations will often have more resources than a typical installment loan firm. The largest direct lender payday loans aren’t always the best! 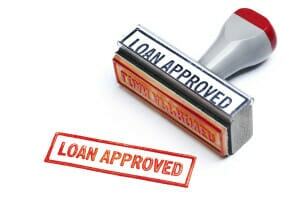 Another important factor when picking an online lender is the application and approval process. Like most people you’re busy with a 9-5 job and you don’t have time to meet with someone face to face or to send in stacks of paperwork. If you’re this type of person you’ll want to find a credible payday loan direct lender with a online application process. Additionally, try to determine if they have an automated approval process. Some direct payday advance lenders will approve your application on the spot in minutes. While some will need you to verify employment and make you fax in a bank statement. Over the past few months we’ve noticed some online lenders have added a call in application process. This could be a great option for someone who wants to check payday loan rates with a live person. It also helps those who don’t feel comfortable with giving out their personal and checking account information online. Be sure you find a lender that’s licensed to offer direct lender payday loans in your state. This is more vital than you would think. It can cause your online application to be cancelled if your lender is not licensed in your state. Most online direct payday lenders will tell you they don’t service your state. That’s only after you spend a good amount of time filling out an entire application! So many websites will only provide funding from third party lenders! We’ve noticed many of the largest companies that offer cash advances will do all they can to get your personal information online. Once you’ve inputted all your info they will then let you know they don’t offer loans in your state. What a waste of time! Some states are tougher than others when it comes to getting a payday loan so be sure you know if your lender works in your state. You can see an updated list of cash advance and installment lenders here. At this point I’ll assume you’ve used our recommendations and narrowed down your online loan options. You should have settled on a licensed reputable direct lender that lends in your state and has a quick online application process! As we tell all our visitors, just remember to payback your payday loan direct lender in full!